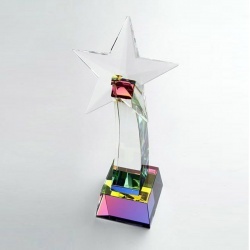 These quality glass star awards are finely crafted in optical crystal, a material that refracts light as it passes through to create a myriad of aspects and effects. 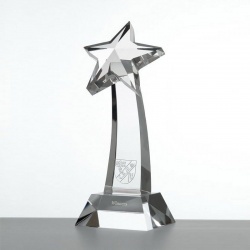 The awards comprise a five-point crystal star set on a curved glass column mounted on a bevelled glass base. Standing 7.5in (190mm) tall, tThe awards can be engraved on the bevelled base. 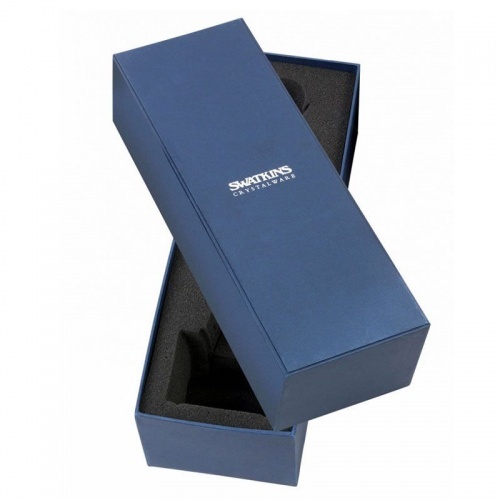 Each award is supplied in a fitted, foam-lined presentation box. Clear glass star on curved column and bevelled base. 10in tall. Clear glass star on curved column and bevelled base. 6in tall.